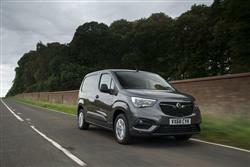 Vauxhall's Combo cargo is a panel van with the one thing operators really need: serious carrying capacity of up to 4.4m3. Jonathan Crouch reports on the fourth generation version. 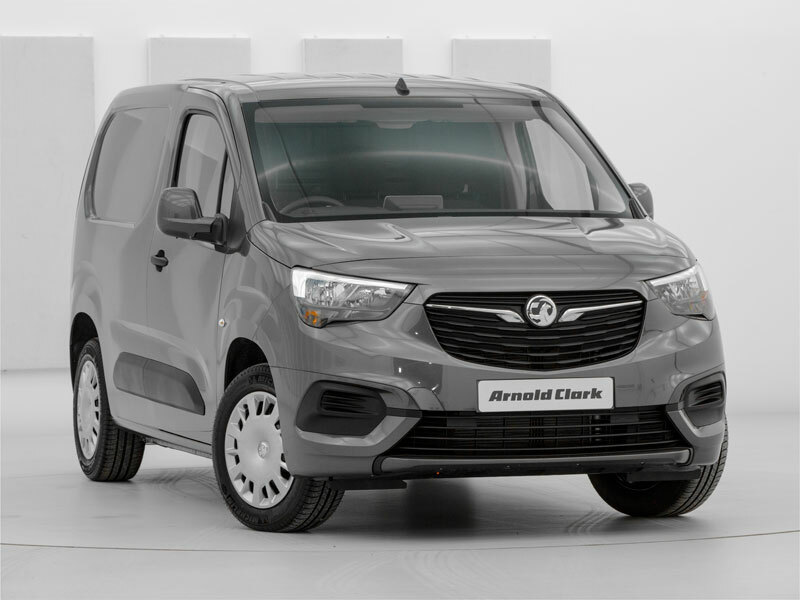 With their fourth generation Combo, Vauxhall fields a very class-competitive compact van, with both short and long wheelbase body styles that together should be able to satisfy almost every buyer in this segment. With frugal running costs, smart design and strong practicality, it's everything a small LCV should be. When the time came to develop this fourth generation Combo van, the Combo Cargo, Vauxhall grabbed the opportunity to design something from a clean sheet of paper that would tackle both the LCV market's major small van sectors. 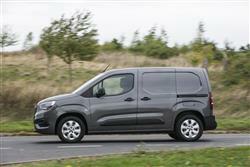 Whether you want something spacious yet small (like a Citroen Nemo or a Peugeot Bipper). Or compact but a little bigger (like a Ford Transit Connect or a Renault Kangoo), Vauxhall hopes that this Combo will appeal. 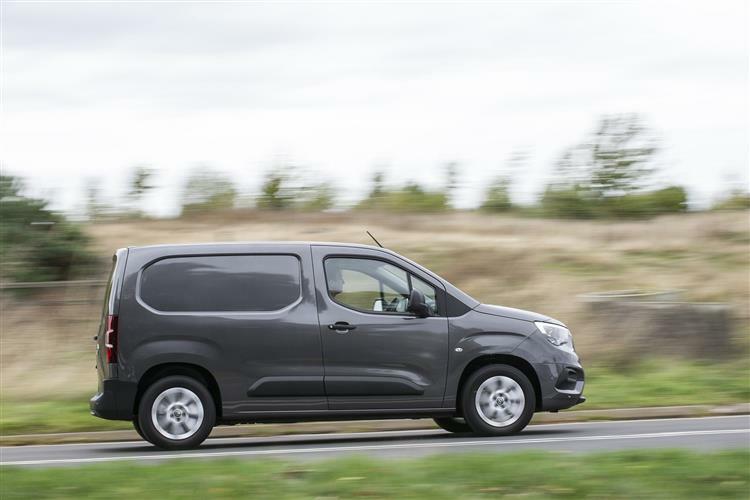 The previous generation version used Fiat underpinnings, but this time round, the Combo borrows its platform from two of its closest rivals, the PSA Group Citroen Berlingo and Peugeot Partner models. But adds some really clever tech touches of its own. These days, van drivers are well used to a car-like response from LCVs, especially small ones. That doesn't necessarily mean an enjoyable driving experience though and in the old third generation Combo with its Fiat Doblo-derived underpinnings, you didn't get one. 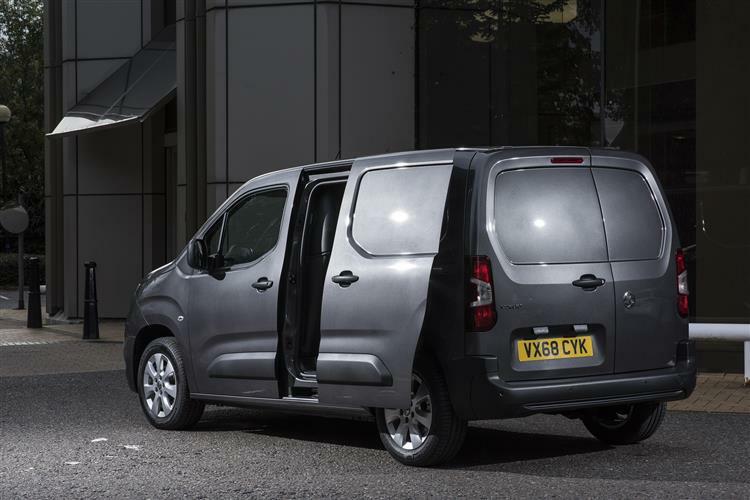 This fourth generation Combo uses a lighter Peugeot / Citroen Group platform system clever enough to provide supple ride comfort, yet firm enough to resist body roll and support heavy loads. It's a much better compromise. Can the same be said of the engines on offer? Well, the line-up certainly seems effective on paper. There's a 1.2-litre 110PS petrol unit. Or a 1.5-litre CDTi diesel, developing either 100 or 130PS. The units are combined with five and six-speed manual transmissions. In addition, in a segment first, a low-friction eight-speed automatic with Quickshift technology can be ordered in combination with the top-of-the-range 1.5-litre 130PS diesel. Whichever variant you choose - standard or long - you'll find that the driving position pretty good, with the steeply raked windscreen and low bonnet combining to give great visibility. Couple that with big panoramic door mirrors and the result is a vehicle you can be confident about driving even the most congested city streets where the light steering facilitates a tight turning circle, 11.2m in the short wheelbase version and 12.5m for the long wheelbase model. As for refinement, well, the slightly clattery note at start-up settles down quite acceptably once you get up to speed. This third generation Combo has a more modern look but having inspected the smart but practical shape, you're still left with the nagging feeling that there's nothing especially Vauxhall-like about this design, aside from the huge Griffin logo on the front grille. 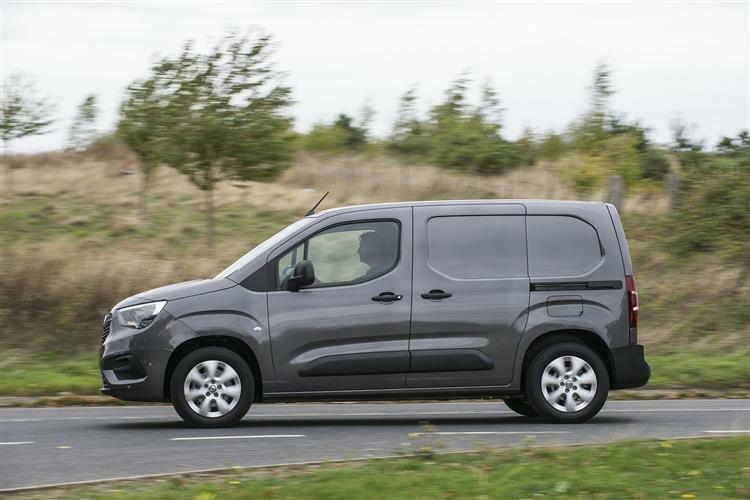 The brand talks of an 'all-new architecture' this time round, which means that this design shares much with two of its closest competitors, the Citroen Berlingo and the Peugeot Partner. Inside, as before, you get a practical cabin with a large lockable glove box, several cubbies in the dash and large door pockets with enough room for half-litre bottles and A4 clipboards. As expected, it's all very car-like - as this design needs to be given that it's also used to create a passenger MPV, the Combo Life. Ahead of you, there's a steering wheel that adjusts for both reach and rake. And you sit very comfortably, with height and lumbar adjustment as well as a built-in armrest. A place to do business. Prices are much as before, so expect to pay somewhere in the £16,000 to £21,000 (ex VAT) for your Combo Cargo, which is very class-competitive. Lots of fresh technology's been delivered this time round, our favourite feature being the sensor-based load indicator that warns you if the van is overloaded. Once the engine is switched on, a white LED lights up if the weight exceeds 80% of the permitted payload. If the weight is above the limit, an orange signal with an exclamation mark lights up. Why has no one thought of this before? Other innovations available include a Rear View Camera that acts as a "digital" rear view mirror, while a second camera in the passenger side door mirror ensures that the driver has an additional blind spot detection aid. Then there's the 'Flank Guard', a sensor-based system that supports the driver while turning at low speeds, providing a warning when there is a risk that the vehicle side will collide with an obstacle. Intelligrip, an electronic traction control system, is also available. A plethora of driver assistance technology is available too, including Forward Collision Alert with pedestrian detection and Automatic Emergency Braking, Lane Keep Assist, Hill Descent Control, Intelligent Speed Adaptation, Automatic Cruise Control, Driver Drowsiness Alert and Speed Sign Recognition. For potential Combo buyers, the practical facts make compulsive reading. 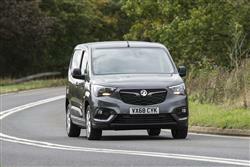 No other rival can better this Vauxhall's maximum potential carriage capacity of up to 4.4m3. And you'll do well to better this contender when it comes to wheelbase length, potential payload, rear axle load, maximum load length or maximum load height. Short wheelbase, long wheelbase and crew van body styles are available. 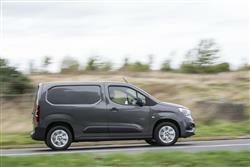 And this little LCV can carry a load volume of up to 4.4m3 and a payload of up to a tonne. Longer items up to 3,440mm, such as pipes and ladders, can be stored safely and securely, thanks to the rear swing doors and the useful 'FlexCargo' loading hatch that opens through to the cab. The cargo area has easily enough room to slide in the usual Euro pallet. And running costs? Well here, there's little for operators to worry about. Returns from the various turbo-charged, direct injection petrol and diesel engines are competitive, CO2 emissions starting from 111g/km and fuel economy of up to 67.3mpg possible for the 1.5-litre 100PS diesel. The 1.5-litre 130PS diesel manages 65.7mpg and 113g/km. And the 1.2-litre 110PS petrol variant delivers 51.4mpg and 125g/km. All powertrains meet the stringent Euro 6d-TEMP emissions standard. You'll also need to know that Vauxhall includes a three-year, 60,000 mile warranty as standard, a package that can be extended up to five years and 100,000 miles at extra cost. A year's free breakdown cover is also provided, along with a six-year anti-corrosion guarantee. Service intervals are at 20,000 miles or every 12 months, depending on which comes round sooner and you can opt for a service plan that lets you pay monthly to spread the cost of regular work to your car. As part of this, Vauxhall offers discounts on wear and tear items, such as brake pads and windscreen wipers. 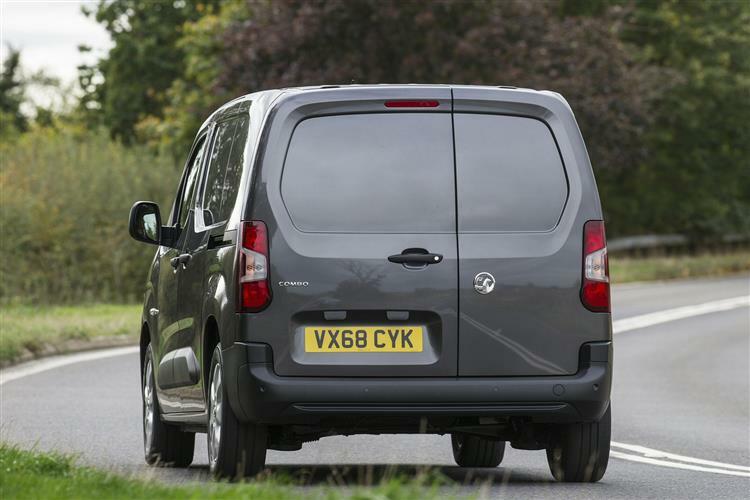 Vauxhall builds more vans in Britain than anyone else. More importantly, it sells more vans in Britain than anyone else. But that position in the market can't be maintained unless the brand is properly represented in the compact LCV segment. This fourth generation Combo ensures that it is, delivering impressive practicality and an impressive set of running costs. You won't see this model making too many headlines, but the reality is that it's one of the most complete vehicles that the brand makes. Quietly concentrating on the things that really matter to operators, to many it'll be invisible, just one of those fixtures of the urban environment that blend into the background. But then, sometimes the very best designs have the very lowest impact. What's important is that this Combo does more than enough to be spotted by the people who count. People who'll find this Vauxhall difficult to ignore in their search for a compact van. Job done.